Defeat the cluster of enemies throughout the southwest part of the map until a treasure chest appears. Open the treasure chest to get the Bow and Arrow. 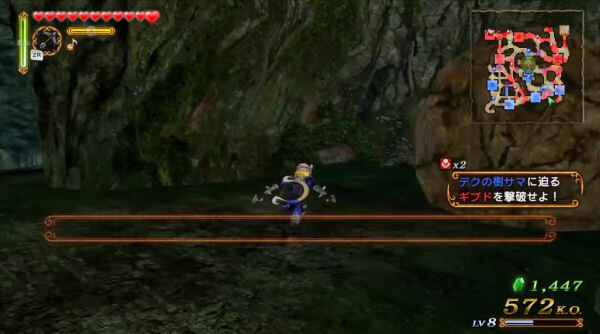 Use the Bow and Arrow to defeat all of the Deku Babas that are indicated on the map. Travel towards the northwest and defeat the ReDeads and clusters of enemies. ReDeads are indicated on the map. Travel to the various clusters of enemies and defeat them. 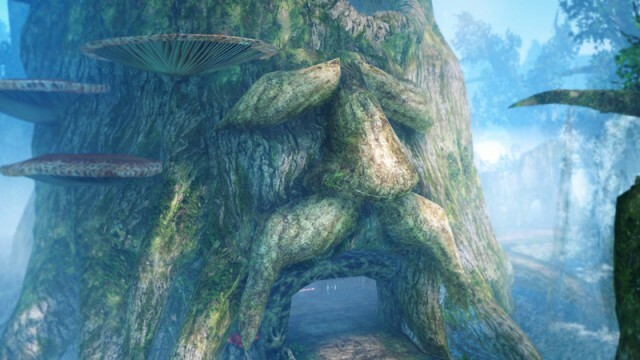 Once it opens, travel to the center of the map and gain control of the area. After the center of the maps begins to go up in flames, continue defeat clusters of enemies as you head to the northeast corner of the map. After enough enemies are defeated, an X will appear at the northeast corner. Defeat the enemies at the northeast corner of the map to open the door. Run over to summon the Great Fairy and she will cause rain to eliminate the flames. Fight the enemies and make your way to the northwest corner of the map. Clear the area and Gohma will appear. Shoot an Arrow at Gohma’s eye to stun her when it turns blue and then deliver sword slashes to harm her. After a period of time, Gohma will jump to various parts of the map. Chase after her and defeat her. Gold Skulltula: After accumulating 1000 kills, a Gold Skulltula will appear appear on the far western edge of the map. The skulltula is not visible as it is hidden underneath a boulder. Blowup the boulder and defeat the skulltula to get a token. Heart Container: At the southeast corner of the map there is a piece of land that wraps around to the left. 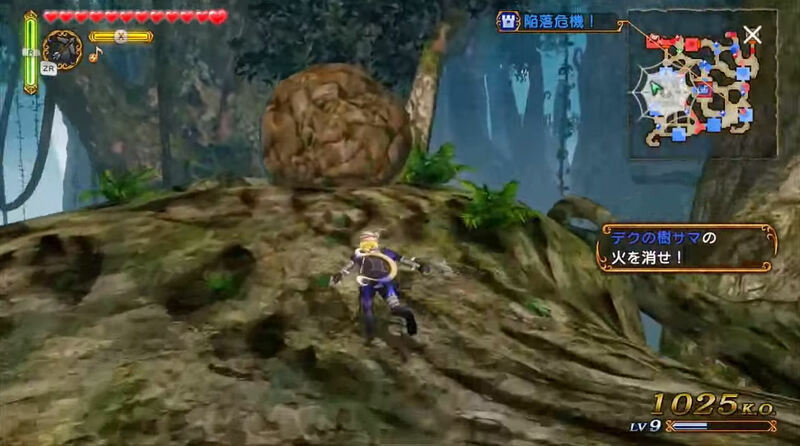 Here you will find a boulder that can be blown up, revealing a treasure chest containing the heart container.